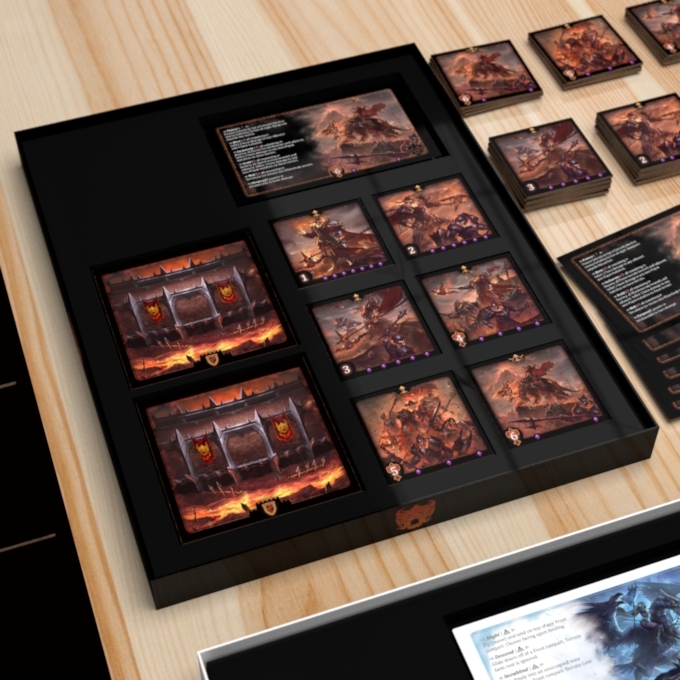 WARLINE: Tactical Fantasy Battles is a tabletop game of detailed maneuver warfare. By way of nuanced, elegant systems—founded on the “Theory of Maneuver Warfare”—WARLINE gives you the tools and freedom that you need to craft and execute your very own unique and creative strategy. 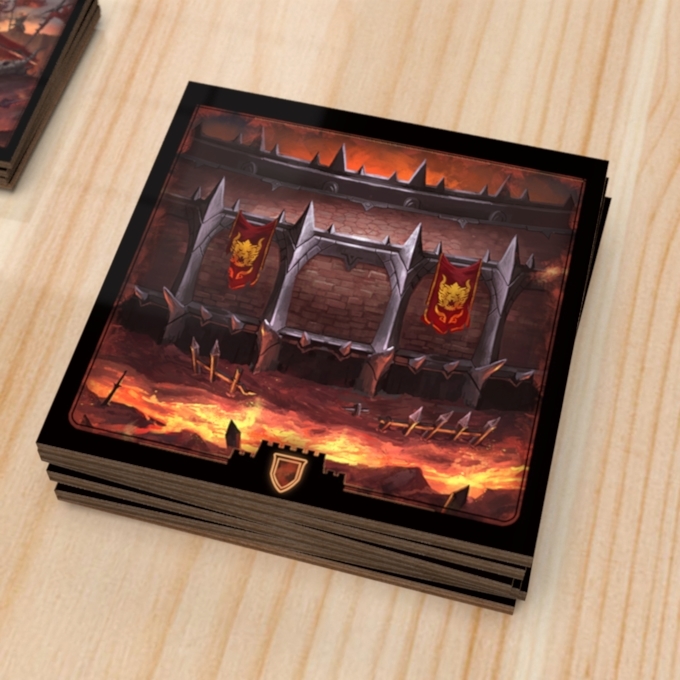 With your support, we can launch the next great tactical strategy tabletop game! Subscribe to the official newsletter to receive notice when the campaign launches on June 4th, 2019. Implement advanced tactics, such as "sacrifice," to deceive, disrupt, and devastate your opponent. Every encounter is brought to life by masterfully painted illustrations. Hone your skills, and spark your imagination, on the path to mastery! Multiple paths to victory, flexible game play, and customized set up ensure that no two battles are alike. 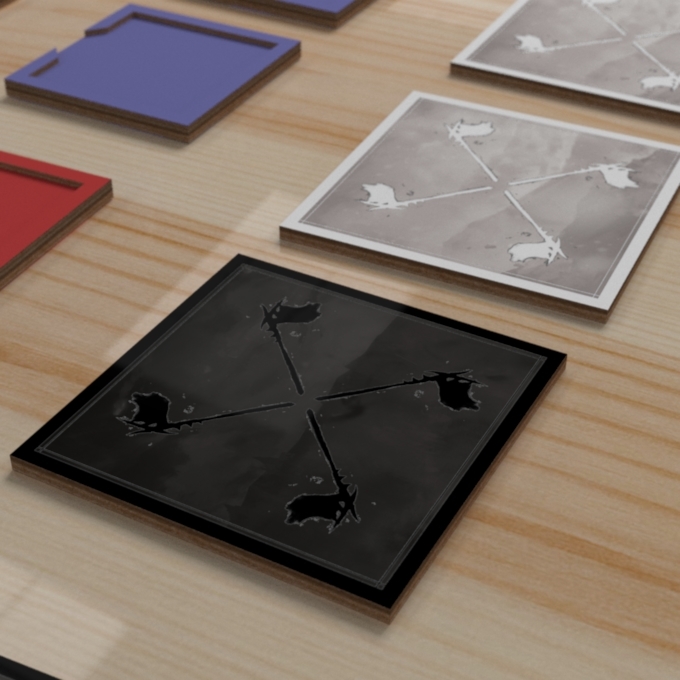 Scalable and modular, you can customize the game to suit your situation and desires: Build out custom battlefields, build out your army with variable unit powers, and more. 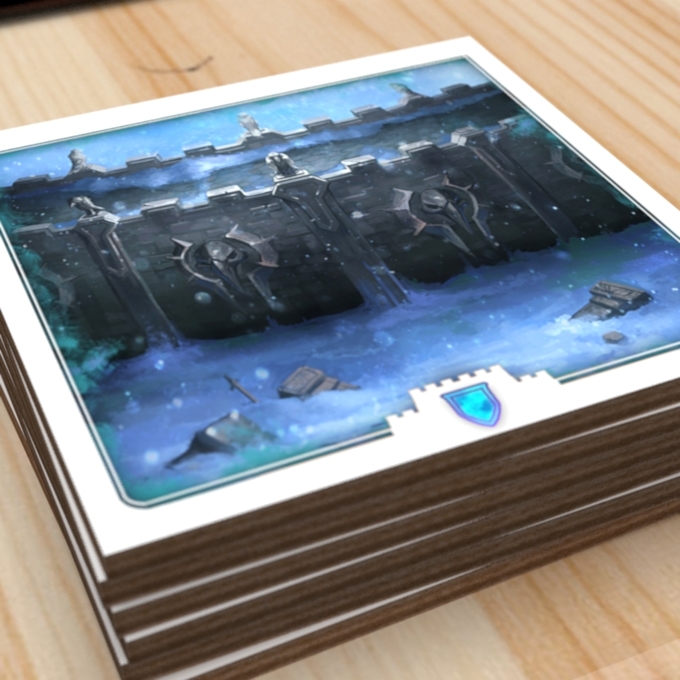 Subscribe to the WARLINE email newsletter to learn all about the game’s upcoming Kickstarter campaign. 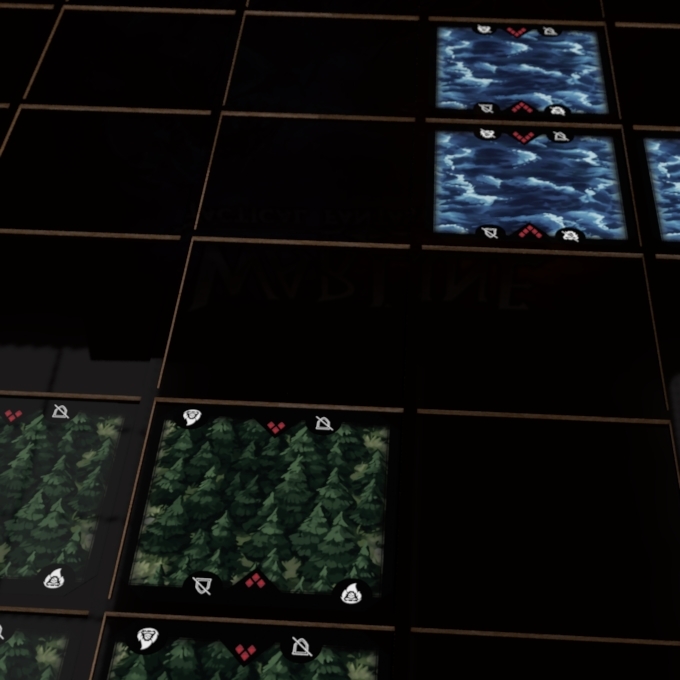 WARLINE: Tactical Fantasy Battles is a detailed maneuver warfare sandbox game. 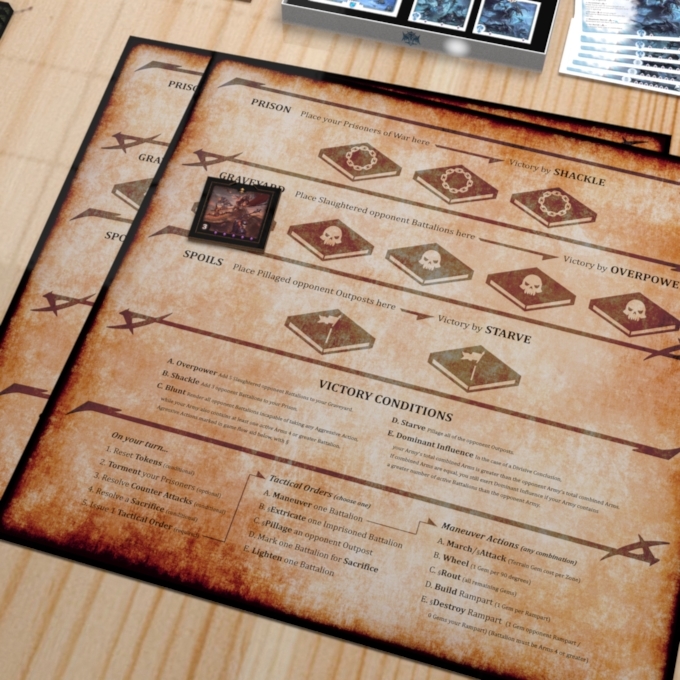 With nuanced systems and mechanisms modeled on fifteenth and sixteenth century martial practice, and a framework modeled on retired Air Force colonel John Boyd’s “Theory of Maneuver Warfare”, WARLINE gives you the tools and freedom that you need to craft and execute your very own unique and creative strategy. Do you prefer to manipulate your opponent with psychological warfare? Are you more comfortable dominating your opponent with attrition? Would you be more effective by cutting off your opponent’s center of gravity? 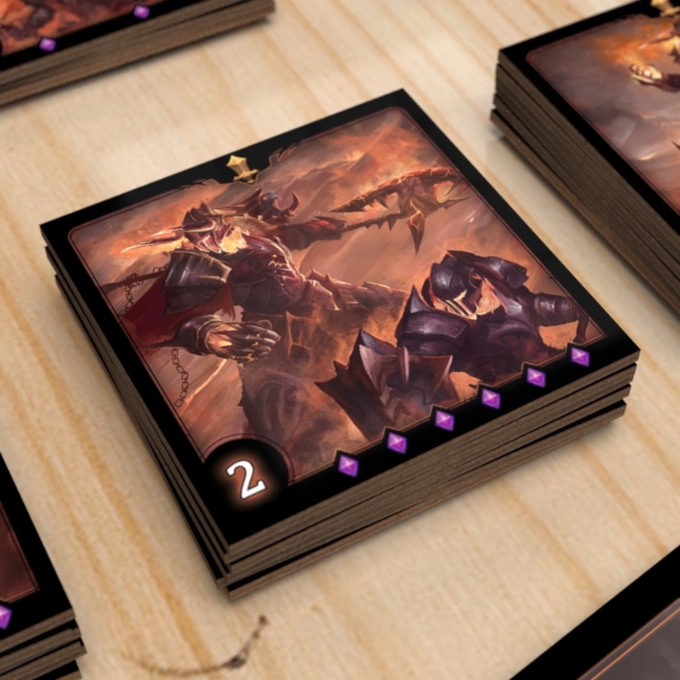 WARLINE is a canvas on which you can paint a strategy all your own. 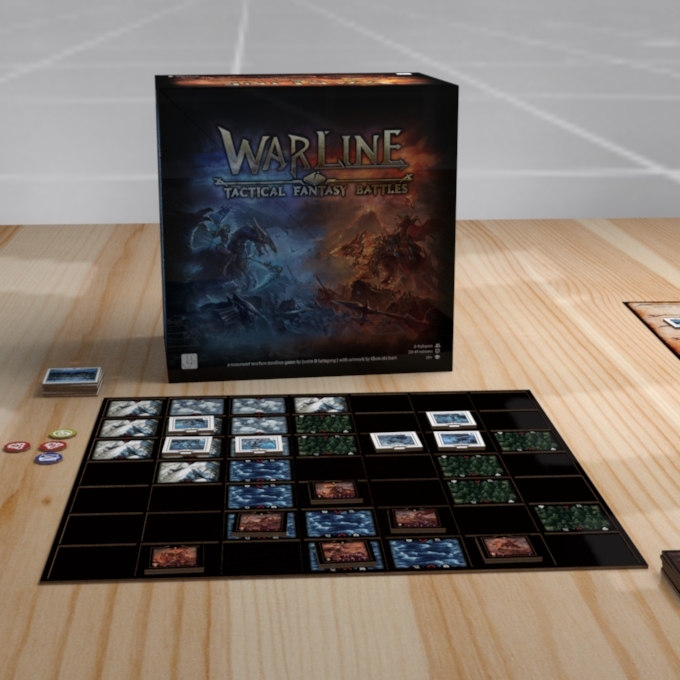 Yet, while highly-technical and detailed, WARLINE is designed with elegance at the forefront, resulting in an accessible, fast, and furious expression of warfare on your tabletop. In WARLINE, you are not just commanding an army, you are also directly involved as a member of the army. The result of every decision that you make and every action that you and your army take are completely under your control. There is zero luck involved. 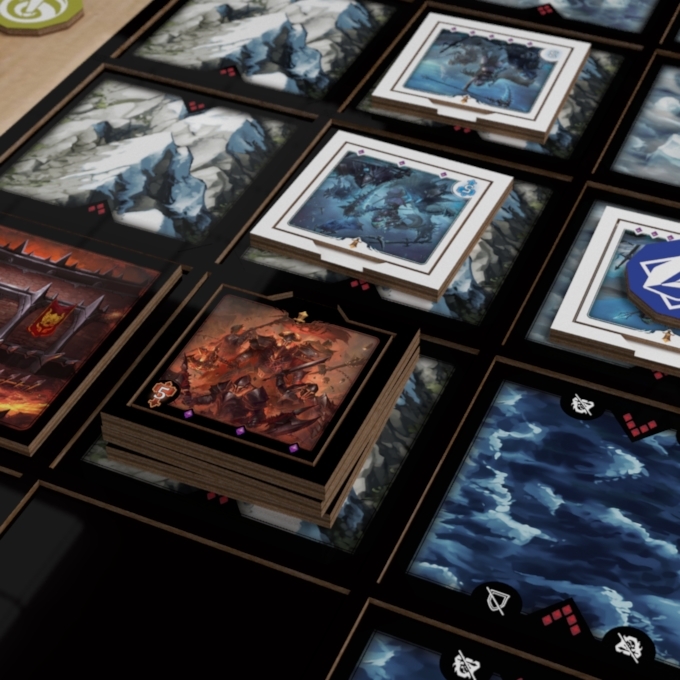 Nonetheless, WARLINE remains fluid, flexible, and mapped to a decision space and a game state possibility space that are both infinitely broad and deep—ensuring that situational memorization is not only ineffective, it is nearly impossible. Every battle, and every moment of battle, must be approached in a unique manner. Every opponent that you face, regardless of skill level, presents a one-of-a-kind, interesting challenge. WARLINE’s core mechanisms and systems are mapped to key historical and modern military techniques. And while the core of the game is founded on actual accounts and doctrine, WARLINE’s layers of rich fantasy help sculpt a vision of war that is even more thrilling and epic. Ride terrifying beasts in order to put immense pressure on your opponent. Wield powerful magic to not only manipulate the battle, but also to completely reshape the battlefield itself—transforming the landscape to your tactical advantage. You have the tools. You have the wits. 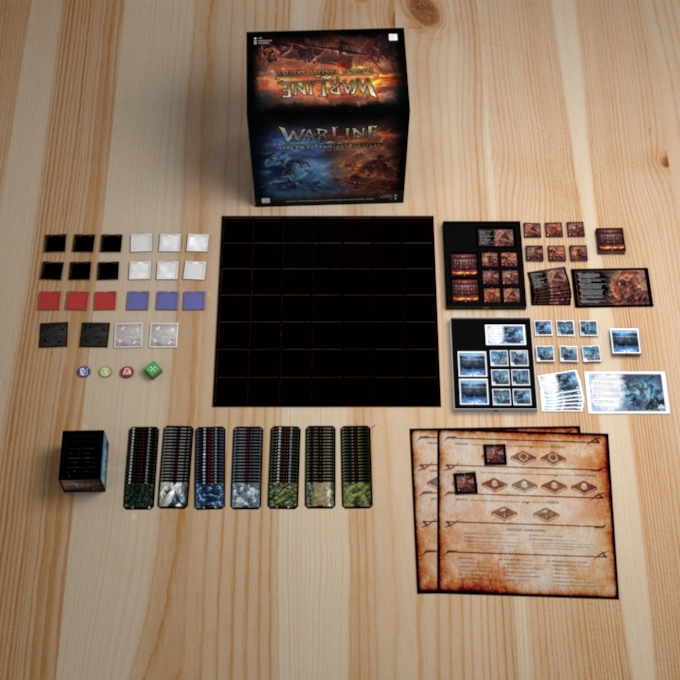 Can you put it all together and stand victorious in the resulting chaos of war? Multiple paths to victory and customized set up ensures that no two battles are alike. Optional army customization and pre-battle planning lead to rich meta-gaming. 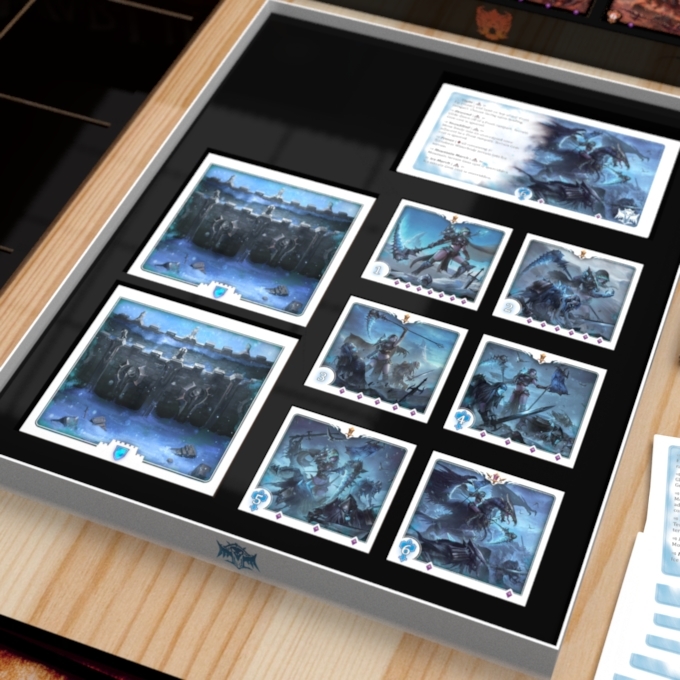 Scalable and modular, you can customize the game to suit your situation and desires: Build out custom battlefields, build out your army with variable unit powers, and more. 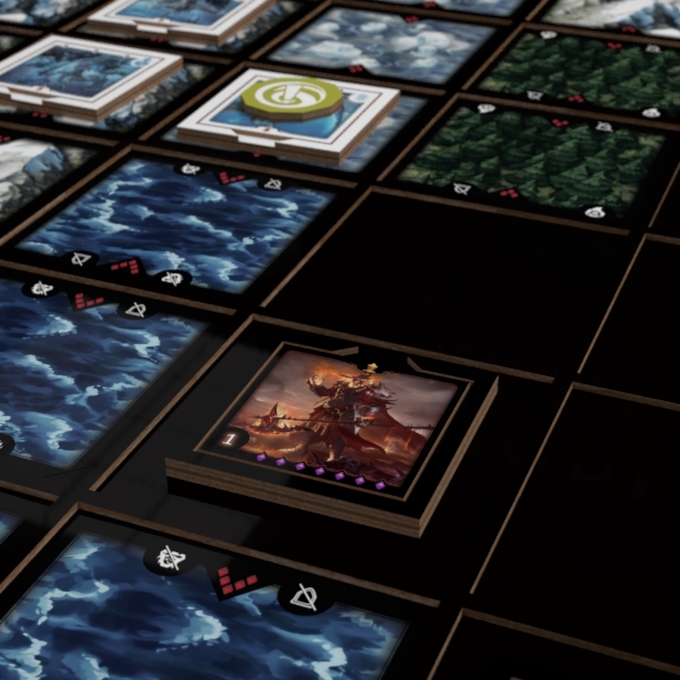 WARLINE encourages creative, fluid approaches to every situation, as your tactical decisions are not limited by rigid movement patterns or restrictions. Incredibly short set up time, along with average game times of 30 minutes. Beautiful, large scale game components that appear as works of modern European industrial design, delivering a stunning table presence. Innovative game mechanisms that express vivid warfare while minimizing fiddliness and complication. Full support for deep and varied organized play. 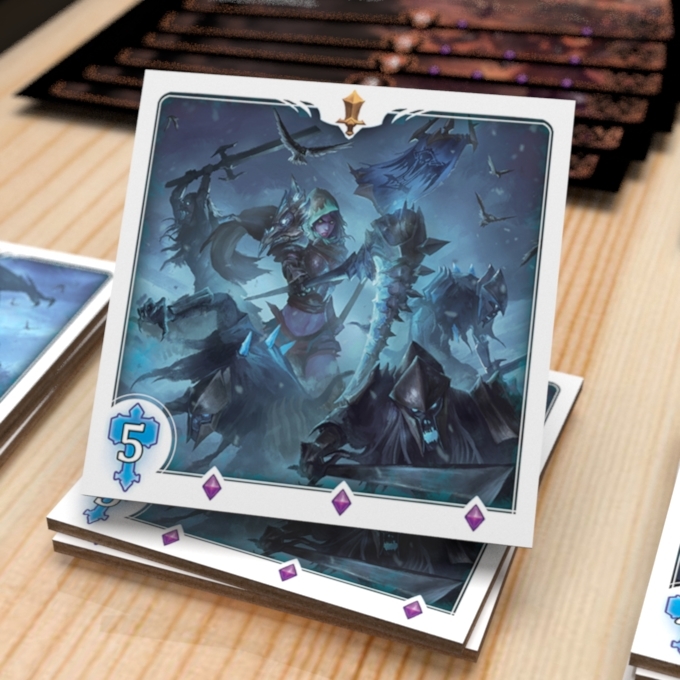 Want to get a leg up on the competition and begin playing WARLINE before the tabletop game is released? 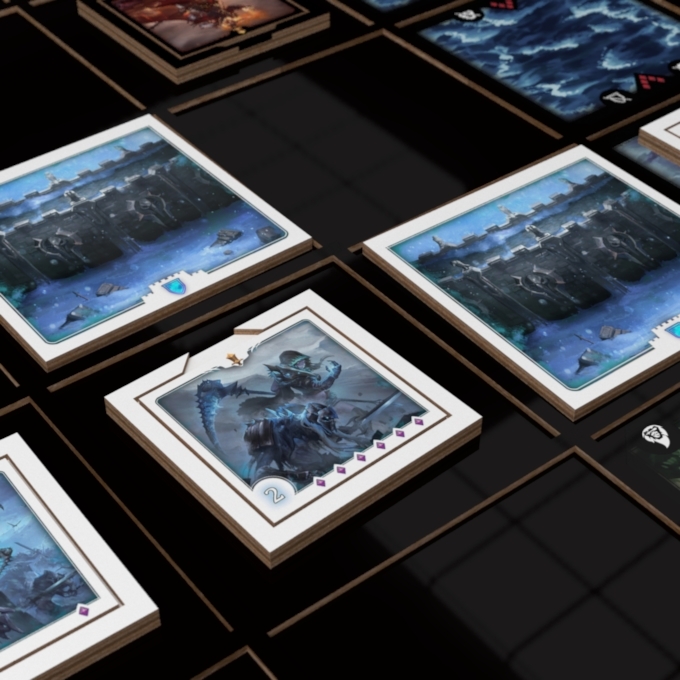 You can now play a digital preview of WARLINE online, via either Tabletop Simulator or Vassal. 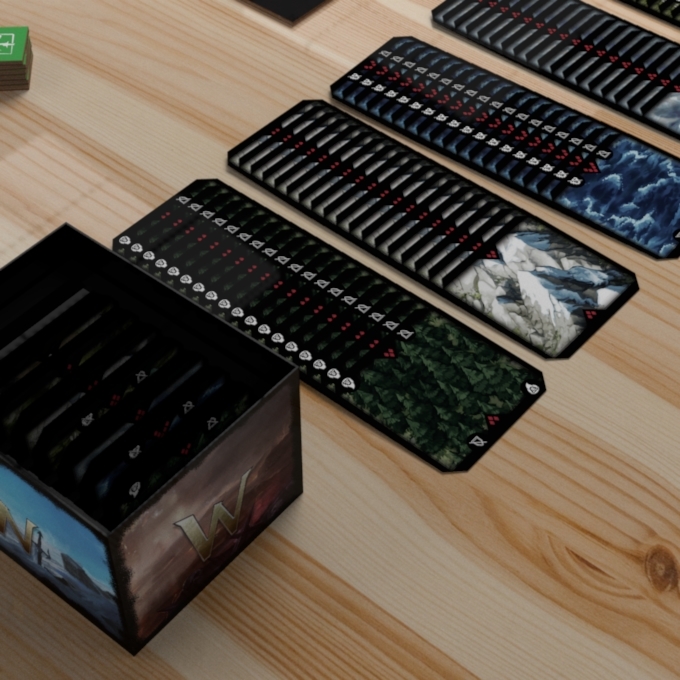 WARLINE on Tabletop Simulator supports online organized play in the WARLINE League of Champions. 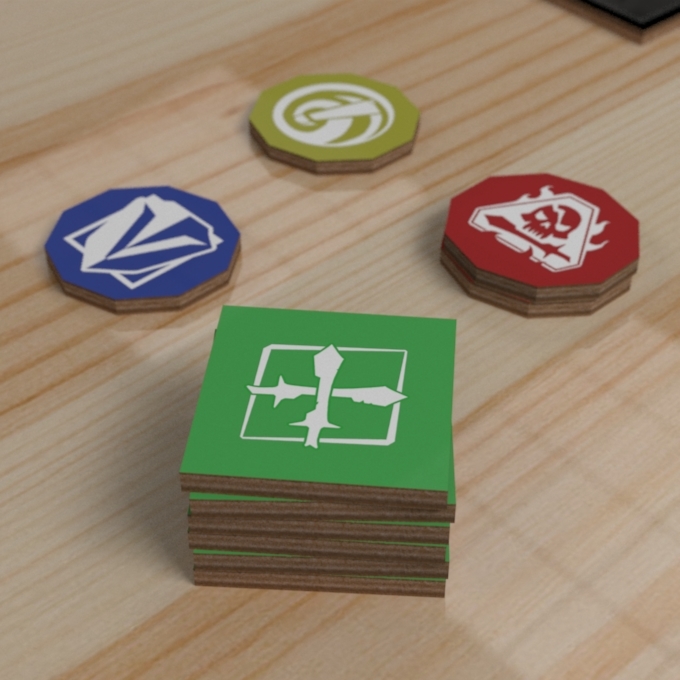 Download the learn-to-play guide here, and join the WARLINE community on Discord to learn everything you need to know, schedule games on Tabletop Simulator, and discuss tactics.